The Nyx-7 Gen 2+ QS Night Vision Bi-Ocular from Armasight is a generation 2+ NVD capable of up to 54 lp/mm resolution. 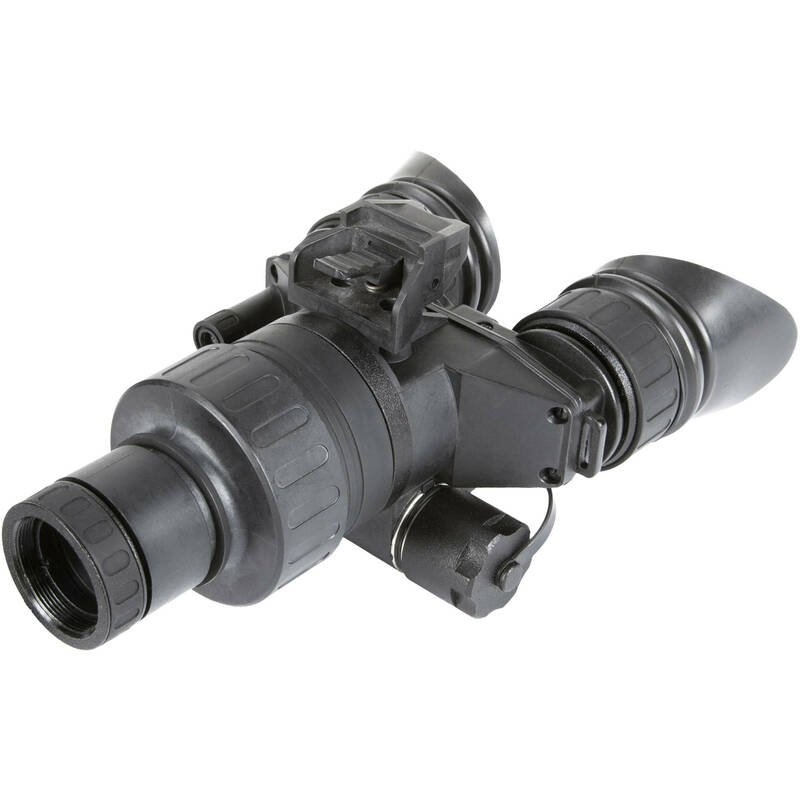 The Armasight Gen 2+ QS multi-alkali photocathode features a white phosphor black and white screen; it also features Automatic Brightness Control, which continuously adjusts image brightness to optimize the displayed image quality. The Nxy-7 also features a bright-light cutoff and LED battery power indicators displayed in the screen of the eyepeice. This night vision bi-ocular is head or helmet mountable with an included flip-up head mount or optional universal helmet mount. A 24mm f/1.2 lens system displays a 40° field of view, making the Nyx-7 Gen 2+ QS bi-ocular ideal for many viewing tasks. The bi-ocular configuration is designed to allow the user to keep both eyes open for more comfortable long-duration viewing. Combined with a built-in IR illuminator and weather-resistant housing, this bi-ocular is well-equipped for observations - low light or no light, indoor or outdoor.